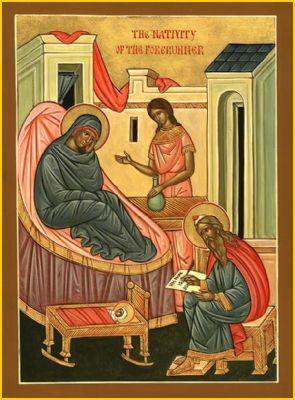 O Prophet and Forerunner of the coming of Christ, we honour thee lovingly but cannot extol thee worthily; for by thy birth thy mother's barrenness and thy father 's dumbness were unloosed; and the Incarnation of the Son of God is proclaimed to the world. Sorry, Darby -- the link in your comment is not allowed. Thank you for the kind words, however.